As a result of a report by the Treasury Inspector General for Tax Administration (TIGTA), the IRS is considering increasing correspondence audits to include both the prior and subsequent tax years for any year selected for audit. A correspondence audit is an audit conducted by mail where the IRS sends a Notice of Intent to Assess a tax liability based upon apparent errors on the taxpayer’s return or upon third party information, such as 1099’s, which are not included on the taxpayer’s return. TIGTA statistics indicate that for fiscal year 2012 the IRS assessed 9.2 billion dollars in additional taxes as a result of 1.1 million correspondence audits. TIGTA concludes that filing checks should be conducted to determine whether the same pattern of non-compliance identified in the original tax year selected for audit are also present on prior and subsequent year returns. Out of 102 returns selected for testing, TIGTA determined that similar tax issues existed on 43 of the 102 taxpayer’s prior and subsequent years returns. While all of our loved ones are important to us, when establishing a comprehensive estate plan we need to give extra attention to those individuals who have special needs. Not only must we consider the value and types of assets that these individuals will receive, but we also need to pay close attention to how these assets will be administered for their benefit and how the government assistance that such individuals receive will be affected by this new financial resource. In many cases, a Special Needs Trust may be an appropriate tool to supplement the care of such individuals while preserving their inheritance over their lifetime. Whether or not the inheritance is considered a “resource” for purposes of determining if an individual can receive certain means-based government benefits is extremely important when planning for a beneficiary with special needs. If the individual’s resources exceed a certain threshold (generally a very low level) then the individual is not eligible to receive such benefits. In general, a sum of money that is devised to an individual under a will or standard trust agreement would be counted as a resource of that individual for purposes of determining if they can receive certain means-based government benefits. However, if the devise is left to such individual in a properly drafted Special Needs Trust, that money will not be counted as an available resource for that beneficiary, and they can continue to receive government benefits despite the money that is held for their benefit in the Special Needs Trust. The Special Needs Trust contains language that the funds in the trust are not to supplement government benefits, but to supplement them. In practical terms, this means that your gift to that beneficiary can be used to supplement their care while they continue to receive government benefits to provide for their support. Why would I consider a Special Needs Trust if I have significant wealth? Often clients are initially resistant to planning options that are designed to protect means based government benefits simply because they feel that the inheritance they are leaving the individual with special needs will be enough to provide for that individual without the need for government assistance. However, when you begin to consider the high cost of health care for individuals with special needs, even a large inheritance can be exhausted in a short period of time. Consider, for example, if you leave a gift of $500,000 to your mentally handicapped niece as part of your Revocable Trust who currently receives SSI and Medicaid benefits. If this gift is left to her under a standard trust or as an outright devise under your Will, it will be counted as a resource for her and she will become ineligible for the means based benefits she is currently receiving. If her care costs are $100,000 per year, then depending on the rate of growth of her inheritance, this gift will only pay for approximately 5 years of care. After that time, your niece will again have no financial resources and will have to apply for public benefits to provide for her care. If instead, the gift of $500,000 is left to your niece in a properly drafted Special Needs Trust, managed by an individual or corporate trustee, that inheritance will not be considered a resource for purposes of means based benefits eligibility. Since that gift will not disqualify her for the benefits she is receiving, she will continue to get those benefits to pay for her care and support. The money in her Special Needs Trust can be used to supplement that care by paying for extra therapies, entertainment, comfort items and other goods and services to enhance her quality of life. The inheritance can continue to grow and provide benefits to the beneficiary for decades instead of being immediately exhausted. Also, with a testamentary Special Needs Trust, there is no required payback to the state for Medicaid benefits paid on behalf of an individual during his lifetime. If the special needs individual passes, the funds in the Special Needs Trust can go to other beneficiaries as provided in the trust. Who is going to manage the Special Needs Trust? One of the challenges of planning for a beneficiary with special needs is that often the person putting together the estate plan is the person who has been caring for this individual throughout their lifetime. There are frequently concerns about who will care for the beneficiary and who will ensure that the money that is left will be properly managed and administered for the benefit of the special needs beneficiary. While a Special Needs Trust is a great planning tool, the administration of such Trust should be handled with special care to ensure that the Trustee is not doing anything that adversely affects the beneficiary’s government benefits. For this reason, consider a corporate or professional Trustee who has experience in managing these types of Special Needs Trusts. If you would like to further discuss how Special Needs Trusts work or discuss whether this planning tool may be appropriate to incorporate into your estate plan, please contact one of our attorneys to discuss any questions you may have. One of the most frequent problems faced by families subject to the Estate Tax (a married couple having made no prior gifts must have a net-worth of over $10,680,000 in 2014 to be subject to the Estate Tax) is how to actually pay the taxes. Very often a family owned business makes up the bulk value of the estate. This business is typically not publicly traded, and is not an easy asset to sell quickly for a good price (that is if the family even wants to sell the business, which is often not the case). If the family does not own other liquid assets sufficient to pay taxes, then they are placed in a very tough situation. For instance, let’s assume that Bob and Susan own a business that provides a service, such as pest control. 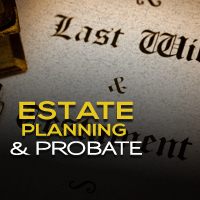 With proper estate planning, upon the first spouse’s death no Estate Taxes will be owed, due to the “Unlimited Estate Tax Marital Deduction.” However, when the second spouse passes away, there may be taxes owed depending on the values of all of the assets. If Bob and Susan own a house valued at $1,000,000, vehicles and boats valued at $300,000, checking and savings accounts in the amount of $100,000, brokerage accounts in the amount of $700,000, retirement accounts in the amount of $200,000, and the value of the business for Estate Tax purposes is $15,000,000, then the approximate Estate Tax liability under current law would be $2,648,000. However, they only have true liquidity in the amount of $800,000. This presents a real problem for their children. If Bob and Susan decided to be proactive and insure against this risk, then they may choose to take out a “second to die” life insurance policy with face value of $3,000,000. Bob and Susan probably feel pretty good about this decision and think that their children will be able to continue the business and pay any required taxes. However, because they were owners of the life insurance policy, the face value is also included in the calculation of their assets for Estate Tax purposes. Now the approximate Estate Tax liability would be $3,848,000. This situation is much better for their kids, but is still troublesome. The better solution for Bob and Susan would be if they created an Irrevocable Trust (often referred to as an Irrevocable Life Insurance Trust, or ILIT). They would appoint a third party, such as a trusted friend, relative, or advisor, as Trustee of the ILIT. The Trustee would purchase the same exact life insurance policy, and would be the legal owner of the policy. Therefore, the face value of the policy is not included in Bob and Susan’s Estate Tax calculation and the approximate tax liability would be $2,648,000. The policy would be paid for by gifts to the ILIT made by Bob and Susan. The ILIT will ultimately benefit their children in the same way that their Revocable Trusts do; however, the Trustee of the ILIT will also be given the power to deal with and do business with the Trustee of the Revocable Trusts, and the Personal Representatives of their Estates. When the second to die of Bob and Susan passes away, the ILIT will receive a check for $3,000,000. The Trustee of the ILIT can use that liquidity to purchase unmarketable assets, namely as a portion of the family business, from the Revocable Trusts and/or Estate of the survivor. Thus, the liquid assets end up in the hands of the person who must pay the taxes, and the children inherit a larger amount than would otherwise be the case. 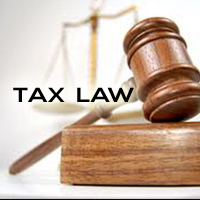 It is important however, that the ILIT does not require the Trustee to pay the policy proceeds to the Revocable Trust or the Estate of Bob or Susan; otherwise the face value will be included in the Estate Tax calculation. At the end of the day, $2,648,000 worth of the family business was purchased by the ILIT and is held for the benefit of the children. The Trustee under the Revocable Trusts used that cash to pay off the Estate Taxes. The children did not have to dip into their personal assets to pay the taxes, nor did they have to use up all of their parents’ liquid assets, nor did they have to sell the family business for peanuts in a “fire sale.” This type of planning is a very good solution for many families and is a very flexible estate planning tool. When trying to hold a Design Professional liable for negligence, one of the first legal considerations is the standard of care owed. Absent an express contractual warranty, the law does not require the Design Professional to guarantee that the design will be perfect. Rather, the standard of care that the courts will typically apply is that degree of care which a reasonably careful architect/ engineer would use under like circumstances. However, nothing prevents an Owner from seeking contractual language that increases the typical standard of care owed by the Design Professional to the level of an express warranty of the design; in fact, Owners frequently attempt to do so in their proposed agreements – and courts will enforce such language. This is a danger to the Design Professional, as it is possible that the increased standard of care could go beyond professional liability insurance coverage available to the Design Professional. Thus, the Design Professional should insist on the deletion of any such guarantee as unreasonable. Similarly, a Design Professional should insist on the deletion of any proposed language that attempts to establish a fiduciary duty between the Design Professional and the Owner, as such language also results in an increased standard of care owed on the Project. Before commencing with design services, the Design Professional should insist upon a well-defined project criteria from the Owner, upon which it may rely for establishing the overall parameters of the project. The agreement should expressly state that the project criteria furnished by the Owner describes all of its program requirements and objectives for the project, including use, space, budget, time, site, maintenance requirements, and expandability requirements, as well as submittal requirements and other requirements governing the Design Professional’s performance of the work on the project. Ideally, the Owner’s project criteria includes conceptual documents, design criteria, performance requirements and all other Project-specific technical materials and requirements needed by the Design Professional to commence work without further information gathering after the contract is executed. Any language that requires the design documents to reflect the Owner’s “intent” or other such wording should be deleted (as mind reading should not be a contractual requirement). The Design Professional should insist on express contractual language that states that if the Owner seeks to supplement or change the project criteria after the contract price is established or after the Design Professional commences work, then the Design Professional is entitled to an equitable adjustment to the contract price and schedule as a condition precedent to performing any such additional work. Similarly, to the extent that the Owner changes the project budget, there should be contract language entitling the Design Professional to an equitable adjustment in the contract price and schedule, to be reflected in an executed change order, for all resulting value-engineering needed to reach the revised budget. However, if value engineering is needed because the bids from all contractors exceed the project criteria’s budget (possibly resulting from inaccurate pricing estimates by the Design Professional), then the contract should include language that states whether a Design Professional must perform that value engineering work without additional compensation. Perhaps the contract states that the Design Professional is only required to do so if the lowest responsive and responsible bid exceeds the budget by some threshold percentage. Regardless, the Design Professional should expressly limit any liability for any claims or damages sought by the Owner arising from the cost of the work exceeding the project criteria’s budget. Owners may seek to establish a draw schedule that withholds most of the contract price until after the construction documents are 100% complete and approved and permitted by the governing building authorities, i.e. when the Owner has a work product in hand that would allow construction to commence. However, the Design Professional should insist on a payment draw schedule that equitably reflects the value and time required at all preliminary stages: schematic phase, design development phase, the staged percentage completion milestones of the construction documents, negotiation/bid review phase and contract administration. Moreover, the contract should define the work product required at each such stage, as applicable, that would trigger entitlement to each successive draw payment. While the standard AIA Documents for construction contemplate intensive contract administration services to be performed by the Architect during the construction phase, oftentimes a companion AIA design agreement is not used on the same project. Indeed, even if a percentage of the Design Professional’s contract price is dedicated to contract administration, often the design agreement does not define well the Design Professional’s contract administration duties (or may not address them at all). This disconnect creates fertile ground for conflict. It is difficult, if not impossible, to predict the amount of involvement required by the Design Professional during the construction phase for some contract administration duties, such as RFIs. Accordingly, the Owner and Design Professional should attempt to define the Design Professional’s scope of contract administration services to be performed during the construction phase and break-out and identify certain contract administration services to be performed on an hourly fee basis (with a rate schedule agreed to and incorporated into the agreement). Briefly, as the amount of Reimbursable Expenses will necessarily remain an unknown contingency, they should not be limited to a Reimbursable Expense Allowance (as is sometimes requested by the Owner), but rather should be additional compensation over and above the contract price. The Design Professional is strongly advised to consult with its insurance broker to review the contract’s insurance requirements to determine whether its current policies comply and whether additional coverage is required. If so, the Design Professional will need to ensure that any additional premium to be paid is included in the contract price or otherwise covered as a reimbursable expense. As it relates to the Owner, the Design Professional should seek to limit its total liability for any and all claims or injuries arising from the project to the amount paid on behalf of or to the Design Professional by its insurer in settlement or satisfaction of such claims. If no such insurance coverage is provided with respect to the Owner’s claims, then the Design Professional’s total liability to the Owner for any and all such uninsured Owner claims should nonetheless be capped at some dollar amount, such as some percentage of the contract price that reflects the Design Professional’s profit on the Project. Such limitation of liability provisions are generally enforceable (although the Design Professional should confirm with an attorney licensed in the state whose laws govern the contract). The contract should expressly state that all drawings, specifications and other documents and electronic data furnished by the Design Professional per that same contract are deemed to be instruments of service, and that Design Professional shall retain the ownership and property interests in them, including the copyrights. Only upon the Owner’s payment in full for all amounts due under the agreement should the Owner be granted a limited license to use the Instruments of Service in connection with the Owner’s occupancy or use of the project. The contract must also address what happens if the design contract is terminated at any point prior to completion of the design documents. What rights, if any, does the owner have to the Design Professional’s work product under that scenario? 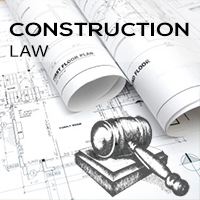 Since the Design Professional is no longer involved in the design, if the Owner is granted license to still use the work product to complete the project, then the Owner should be required to indemnify and defend the Design Professional as a result of any claims arising from such use. The issues outlined herein are not intended to be exhaustive. Design Professionals are strongly advised to have each design agreement separately reviewed by their construction attorney and insurance broker. When structured correctly, the exchange of real estate property using closely held business entities can result in advantageous tax treatment under the Internal Revenue Code of 1986, as amended (“IRC”), while simultaneously insulating the owner(s) from liability from potential judgment creditors. Section 1031 of the IRC, known as the “like-kind” exchange section, begins with the following statement: “[n]o gain or loss shall be recognized on the exchange of property held for productive use in a trade or business or for investment if such property is exchanged solely for property of like-kind which is to be held either for productive use in a trade or business or for investment.” If the requirements for a like-kind exchange are met, this provision allows owners to defer the recognition of gain on appreciated real property if the real property is exchanged for replacement real property of “like kind”. Put differently, if an investor is looking to acquire real estate and also dispose of current real estate holdings, the immediate need to pay federal or state income taxes on the gain that would otherwise result from the sale may be postponed through a like-kind exchange. There must be an “exchange of property.” A simultaneous swap of real property will satisfy this requirement. The exchange may also be a deferred exchange (meaning the current disposition of property and later acquisition of the like-kind property) or a reverse exchange (meaning the current acquisition of property and later disposition of like-kind property), but additional rules and requirements will apply to these transactions, including the need to use a Qualified Intermediary for deferred exchanges and reverse exchanges, and the need to meet strict time frames for the identification and acquisition/disposition of the replacement property. 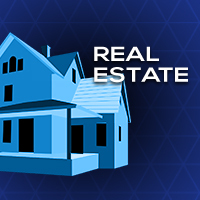 The property must be “held for productive use in a trade or business or for investment.” While no definite time period meets the “held for” criteria, the longer the property is used in a trade or business, or held for investment purposes, the greater the likelihood that the transaction will qualify for the §1031 exchange. With limited exceptions, the IRS generally takes the position that personal residences and vacation homes do not qualify for like-kind treatment. The properties to be exchanged must be of “like-kind.” The IRS will consider the nature of the properties involved to determine if the like-kind requirement is met. Exchanges of most real property will qualify for like-kind treatment (e.g. the IRS has considered vacant land similar enough to improved land to qualify for a like-kind exchange). To the extent the investor receives cash or other property that is not like-kind, the IRS will require recognition of gain and payment of the resultant taxes. Many investors choose to structure their real estate transactions by setting up limited liability companies (“LLCs”) or other closely held business entities, and purchasing real property through such entities. Assuming an LLC is properly created and maintained, and its member(s) do not elect to classify it as a C-corporation for federal income tax purposes, the LLC form can insulate its member(s) from liability from potential judgment creditors while allowing pass-through taxation. Pass through taxation results in only one set of taxes for the individual member(s) (or shareholders if S-corporation classification is elected) (as opposed to C-corporations that are taxed at the entity level and again at the shareholder level when distributions are made). Additionally, holding each property in a separate LLC can reduce the exposure to risk for investors owning multiple properties in this manner, which can result in significantly more favorable loan terms. For example, a creditor who obtains a judgment against the real property owned by one LLC where the fair market value of such property is insufficient to satisfy such judgment cannot reach either the personal assets of the owner(s) of such LLC or personal assets of the other LLCs, and cannot reach the properties owned by the other LLCs in an attempt to satisfy its judgment. The insulation from risk created by the separation of ownership of the property creates an incentive for a lender to provide better loan terms, particularly when the loan is collateralized by a portfolio of properties owned in this manner. In Florida, individual investors or entities may form Single Member LLCs (“SMLLC”) to own particular real estate assets. While SMLLCs do not provide all of the protections of multi-member LLCs, a sole member of an SMLLC may receive like-kind exchange tax treatment for the exchange of either 100% of his or her membership interests in, or the real property owned by, such SMLLC for either the real property owned by a third party entity or individual, or the membership interests of a third party’s SMLLC that holds replacement property. This result is possible because the SMLLC is “disregarded” for federal income tax purposes as an entity separate from its owner; that is, federal tax law simply ignores the existence of the entity, instead treating all of the assets as owned directly by the sole member. Consequently, an investor may also receive like-kind exchange treatment if all of the § 1031 elements are met and the investor sells property owned by one of its SMLLCs and acquires replacement property using another of its SMLLCs as a part of the same transaction (or deferred or reverse like-kind exchange, as applicable). With the economy rebounding and real estate prices on the rise, like-kind exchanges should again become a prevalent tool in effective tax planning for real estate investment activity. However, tax planning for real estate transactions often involves a complicated analysis of all applicable factors and should be tailored to each individual’s situation on a case-by-case basis. Additionally, the IRC, the Treasury Regulations promulgated thereunder and other IRS publications contain certain exceptions and guidance on how to accomplish like-kind exchanges. The above is not intended to provide legal, financial or tax advice—it is only a brief outline of how like-kind exchanges under the IRC may provide owners with an opportunity to defer recognition of taxable gains for significant periods of time. Owners should always consult with a qualified attorney to assist in analyzing and structuring their proposed transactions to take full advantage of the protections and savings afforded by applicable law. One of the most common errors parents can make when doing their estate planning is not making the hard choice as to who they want to serve as their fiduciary. Specifically, parents make the mistake of choosing among their children to serve as their fiduciary instead of choosing a bank or brokerage company with trust powers, or other non-family member. Parents naturally do not want to show favoritism with regard to their children or indicate they lack any confidence in any particular child. Often, the parent kicks the can down the road by simply choosing both of their kids, or even multiple siblings as co-fiduciaries, even knowing that they may have great difficulty working together. This is a disastrous road to take. Parents should not set their children up for failure if they know their children are not likely to be able to work together. The following is the most common scenario. Mother, being the last to die, changes her will to make her two daughters co-personal representatives of her estate and co-trustees (replacing her deceased husband who she had named in her prior will). One daughter is strong-willed, the other is mild mannered. The daughters often had problems working together and even routinely fought as youngsters. The mother, however, simply cannot bring herself to choose between her daughters. As such, she wants to “recognize” both by making both daughters co-fiduciaries of her estate or trust. The result? The daughters, predictably, cannot work together and worse, actively take action to hamper and frustrate the other when they need to work together the most. After the mother dies, all gloves are off and the daughters start litigating. The result? Tens of thousands of dollars of the mother’s estate intended to go to the benefit of her daughters is squandered in legal fees—all because the daughters were set up for failure by the mother in her estate plan. What is the solution? If your estate exceeds $1,000,000, a bank or brokerage company with trust powers is a good solution. A professional fiduciary such as a bank or brokerage company can offer professional fiduciaries familiar with Florida law and who know how to navigate an estate administration and/or trust administration. Having lost a parent is difficult enough, but having to administer an estate or a trust by a person unfamiliar with fiduciary responsibilities can be a burden that may not be appropriate for your children. Moreover, by picking a bank or brokerage company, the parent avoids having to choose between their children so that no one is upset. In essence, you will have given your kids a final gift of having a professional navigate the administration of your estate plan. If your estate is less than $1,000,000, there are many smaller trust companies and/or certified public accountants that are willing to act as your trustee and/or personal representative. Family harmony can be an important legacy that you leave by considering the simple realities of your family dynamics. If in doubt, choose a third party fiduciary, not your family.